Our guide to Orlando will help you find the best vegetarian restaurants in Orlando Florida. Orlando has a ton of great theme parks for the entire family from Walt Disney World and Sea World to Universal Studios. Walt Disney World has its own free transportation system, including buses, trams, monorail trains, and boats, which can get you wherever you want to go. If you're staying on Disney property, you can use Disney's transportation system exclusively. In general, allow up to an hour to travel between parks and hotels. There are tons of great vegetarian restaurants in the city of Orlando, our city guide will help you find the best vegetarian restaurants. You may have a hard time deciding what to do in Orlando, but we make your decision easy. 114 N Orange Ave - Sah Nevaeh is a vegetarian restaurant located in Orlando FL. 12279 University Blvd, (407) 282-4000 - Broadway Ristorante & Pizzeria is a vegetarian restaurant located in Orlando FL. 1235 N Orange Ave, (407) 228-3899 - Ethos Vegan Kitchen is a vegetarian restaurant located in Orlando FL. 1700 Woolco Way, (407) 381-7700 - Broadway Ristorante & Pizzeria is a vegetarian restaurant located in Orlando FL. 2101 E Colonial Dr, (407) 894-5673 - Loving Hut is a vegetarian restaurant located in Orlando FL. 504 N Alafaya Trl, (407) 277-0060 - Fuji Sushi & Teppan Japanese is a vegetarian restaurant located in Orlando FL. 5532 International Dr, (407) 351-3456 - Passage To India is a vegetarian restaurant located in Orlando FL. 6040 S Orange Blossom Trl, (407) 854-3330 - Woodlands Indian Cuisine is a vegetarian restaurant located in Orlando FL. 6200 Old Winter Garden Rd, (407) 297-0000 - India Village Vegetarian is a vegetarian restaurant located in Orlando FL. 6807 Visitors Cir, (407) 351-8989 - Broadway Ristorante & Pizzeria is a vegetarian restaurant located in Orlando FL. 7732 W Sand Lake Rd, (407) 351-6000 - Cedars Restaurant is a vegetarian restaurant located in Orlando FL. 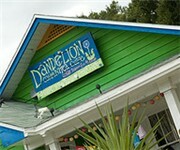 810 W Colonial Dr, (407) 999-9799 - Garden Cafe' Vegetarian Restaurant is a vegetarian restaurant located in Orlando FL. 852 W Lancaster Rd, (407) 888-2147 - Khasiyat is a vegetarian restaurant located in Orlando FL. 852 W Lancaster Rd, (407) 859-0111 - Rhythm House is a vegetarian restaurant located in Orlando FL. 4863 W Colonial Dr, (407) 447-5444 - Caribbean Sunshine Bakery is a vegetarian bakery located in Orlando FL. There are plenty more vegetarian restaurants in Orlando. 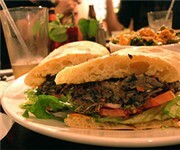 See all vegetarian restaurants in Orlando Florida.